Australian Muslims are “underemployed and underpaid” a corporate audience has been told at an event addressing the harmful effects of prejudice and Islamophobia. From left to right: Randa Abdel Fattah, Australian Muslim writer of Palestinian and Egyptian parentage; Deb Howcroft, executive general manager, organisational development, Commonwealth Bank; Lisa Annese, DCA CEO; Hakan Harman, chief executive officer, Multicultural NSW; and Mariam Veiszadeh, president Islamophobia Register Australia. The event, organised by Diversity Council Australia as part of their Building Cultural Capability Network series in Sydney, heard first-hand stories about what is happening and what can be done to create more inclusive environments, especially at work. DCA’s CEO Lisa Annese told Pro Bono Australia News Australians needed to stand up to Islamophobia when they see it and set good examples in the workplace. “We know that Australian Muslims are experiencing discrimination in the workforce and in the wider community,” Annese said. 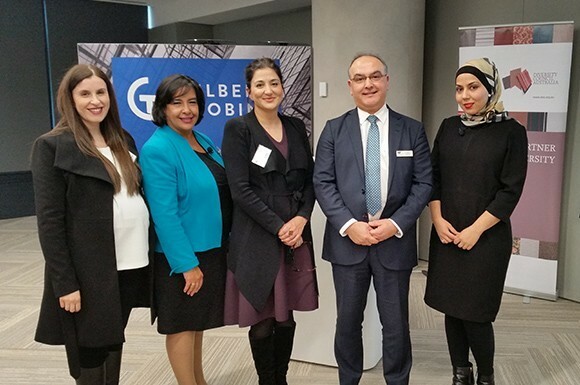 “We organised this event to hear about what is happening and what workplaces can do to address discriminatory prejudices or unconscious bias which may be preventing Australian Muslims from gaining employment, and then being treated with respect and accessing career opportunities at work. “I think there is fear on the part of some people and ignorance on the part of others, and maybe a lack of knowledge on the part of others… and people project their stereotypes onto others, potentially wrongfully and you combine that with media or hysteria in the political sphere and you can get a pretty unhealthy outcome. Keynote speaker, lawyer and president of the Islamophobia Register Australia, Mariam Veiszadeh, said that incidents of Islamophobia were on the rise in Australia. “The Islamophobia Register was established in response to anecdotal evidence suggesting a rise in Islamophobia. Unfortunately it has become normalised in popular culture,” Veiszadeh said. Some findings to emerge from the event were that Australian Muslims are well educated when compared to the general population, yet they are less likely to be employed. In addition, they are also underrepresented in high-status professional occupations and overrepresented in other occupational categories, which tend to have lower status. Annese said research also showed Australian Muslims were more likely to get a job interview if they anglicised their names. “It’s a similar story for most people who come from non-anglo celtic, anglo-saxon and non-european backgrounds, that the employment outcomes aren’t as good and studies have shown…that if people anglicise their names they’re more likely to proceed from the application stage to the interview stage,” she said. Annese said employers should have a zero tolerance policy towards any kind of harassment or bullying. “It’s DCA’s view that employers can, and should, play a more active role in ensuring their workplaces are inclusive,” Annese said. “We need to speak out against racism and xenophobia when we hear it and see it and employers should have zero tolerance to discrimination and harassment at work. But beyond this, there are clear business benefits to be had when you create inclusive workplaces for all. “A lot of stuff that happens is not about what’s illegal, it’s about exclusion, it’s about invisible barriers or a feeling or a sense that people get that they’re unwelcome. “I think organisations that are serious about creating great workplaces need to make a deliberate attempt to be inclusive. Educate decision makers and recruiters about avoiding cultural bias and the importance of valuing the skills and talents of culturally and religiously diverse candidates. Educate your people on the importance of religious acceptance and avoiding stereotyping as well as discrimination and harassment on the grounds of religion or cultural background. Avoid stereotyping by improving understanding of the complexity of religious identity, which encompasses those who are actively practicing as well as those who do not practice but who still identify culturally as Muslim (or Buddhist, Christian, Hindi, Jewish, Sikh etc). Make efforts to accommodate employees’ or potential employees’ desire to wear religious attire, such as a Hijab. If you have a corporate uniform, provide options for these employees. Encourage work socialisation that involves eating (or eating and drinking), rather than only drinking alcohol. Commonwealth Bank executive general manager of organisational development Deb Howcroft said her organisation had implemented a number of initiatives to nurture cultural inclusion. “We’ve set a target to increase cultural diversity of our senior leadership by 2020 so that we reflect the makeup of modern Australian society. This target sits alongside initiatives such as cultural inclusion training and the recent inclusion of the hijab in our corporate uniform. It’s about creating a culture where everyone feels supported, valued and respected – where they can give their best, be their best, and be themselves every day,” Howcroft said. Annese said she was positive corporate Australia was on the right path. 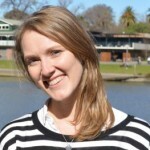 “DCA members have already made a commitment to diversity simple by being members of the diversity council and they were very much of the due that we are here to learn, we are here to learn from experts and people with a lived experience and so they were there with an open mind and an open heart to take the messages back into their workplace,” she said.